ELECTROMECHANICAL DEBURRING MACHINE – Acritech Corp.
You are here:Home » ELECTROMECHANICAL DEBURRING MACHINE – Acritech Corp.
Electrochemical Deburring Machine(ECMB) removes small burrs that were caused by drilling and milling during metal machining process. 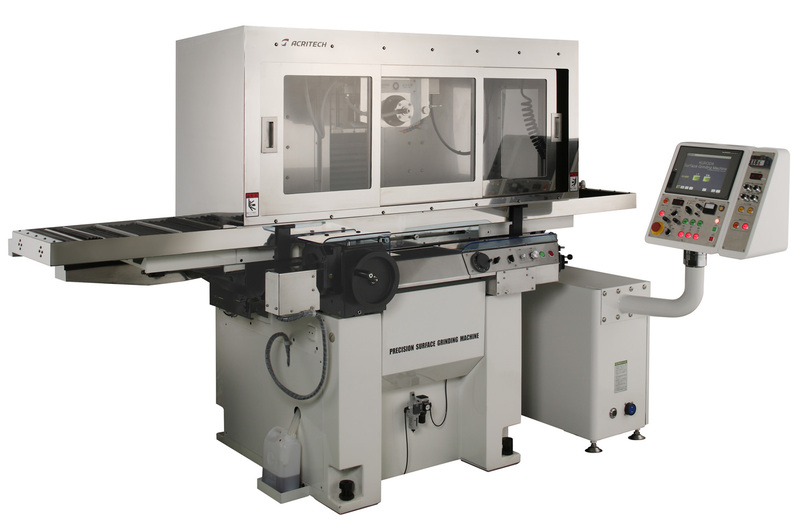 The advantages are to be able to reach the hard-to-reach areas of the machined metal, short cycle time, and the size of the deburring that can be done. When some mechanical deburring simply cannot reach the desired area, this electrochemical deburring can do the job. Also when multiple locations have to be deburred at the same time, this can do the job with short cycle time, and when desired areas to deburr is like a small pin hole, this can to the job. Picture shows full automatic equipment that has part transferring loader inside of the deburring machine with washing station in it. 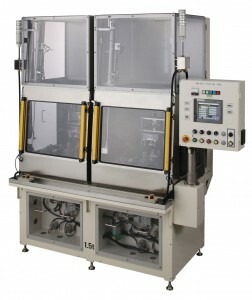 Semi-Automatic Electrochemical Deburring machines are also available for processes that can work with operator hand loading/unloading operations. This will be more cost effective than fully automated equipment. 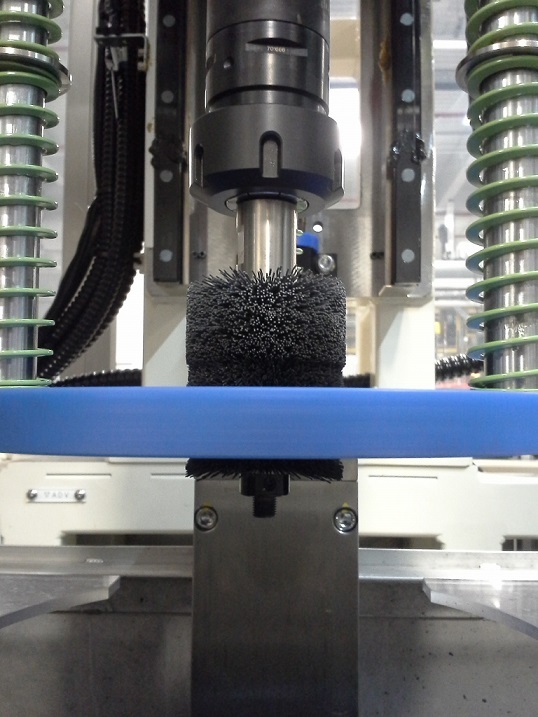 For more efficiency and precise electrochemecal deburring, Acritech also offers a brushing machine removes large burrs prior to the electrochemical deburring. This pre-deburr brushing units can also be integrated to other machines and can be fully automated.